Thank you for choosing RightStuf.com! Our records show that this is the first time that you have placed an order with us. We are delighted that you chose our company and hope that you will be another satisfied customer. processing infrastructure to validate you as the cardholder for your order. in order to provide security for both our company and you as our customer. your billing statement is mailed to. a utility bill, an ID, or other identification card. you may block out one set of four digits on the card. the status of the order a prompt will appear for your use to send us the files. There are additional instructions below to help you to utilize this function. to be able to verify this is the same card used for your order. information, and after the review step the material is deleted or shredded. with us, and apologize in advance for any inconvenience that this may cause. rates low and to control fraudulent orders. as quickly as possible, so we do hope to hear from you very soon! Thank you very much for your cooperation, and for your business! 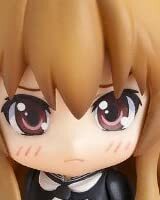 Due to licensing restrictions, this product cannot be shipped to Japan.